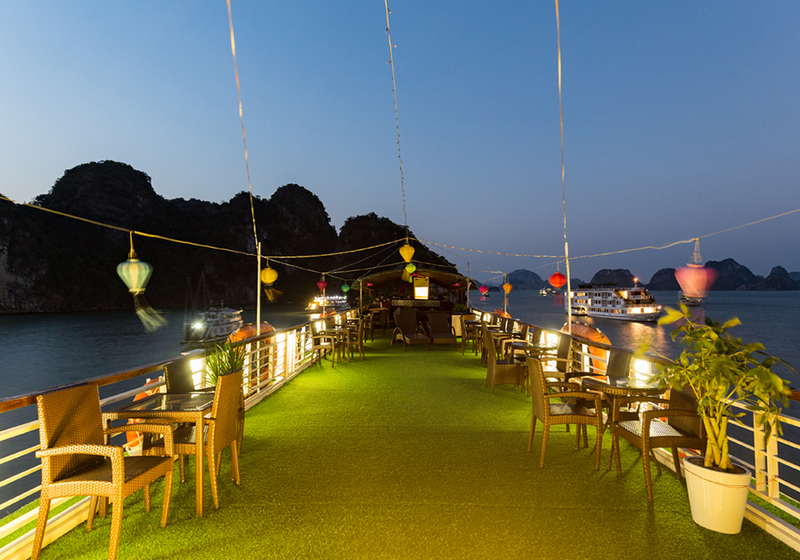 Rosa Cruise – the best 4 star Halong Bay cruise seems to mirror the splendor and majesty of the surrounding scenery offered by the Heritage Site. Rosa Cruise does not only offer a unique Vietnam cruise experience, it also allows you to dream with your eyes wide open. Our Vessel features 09 modern safety private en-suite cabins which are designed to offer you exceptional services. All cabins are well-equipped to meet all requirements of travelers who are looking for luxury service. 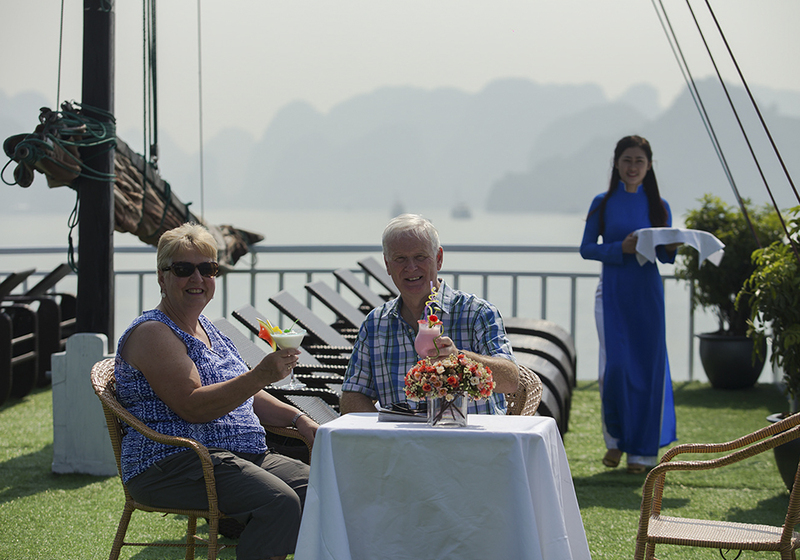 With our professional loyal and dedicated team, Rosa Cruise for sure will bring you the highlight part of your trip in Halong Bay. 15:00: Visit Pearl Farm Village to learn how to make the pearls. Then free to swim and kayak in the airy and fresh air, cool breezes, blue sea and sky, and natural seascape will captivate any visitors setting foot here. 07.00: Morning view of bay’s landscape with a cup of tea or coffee. Have br:akfast. 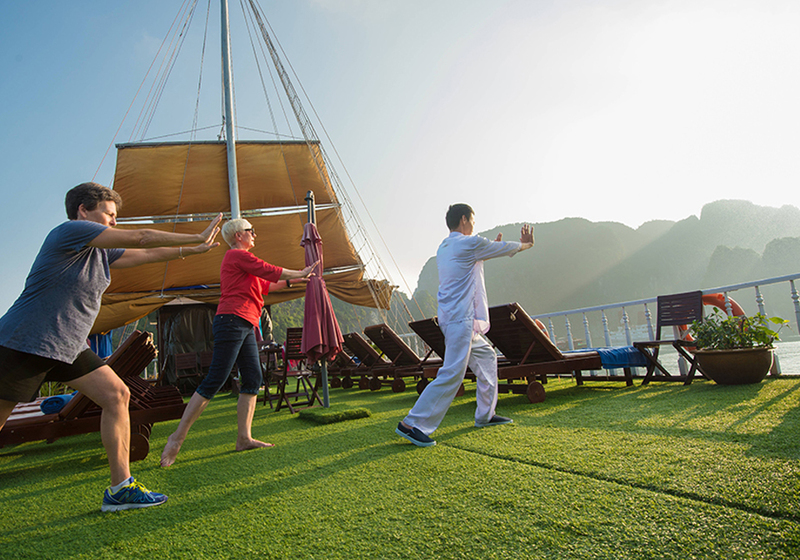 06:30: Early morning sun rise to enjoy Tai Chi lesson on sundeck. 07:00: Morning view of bay’s landscape with a cup of tea or coffee. Enjoy breakfast. 10:00: Joining the cooking class guided directly by Chef of Rosa Cruise. You have chance to practice cooking Vietnamese traditional dishes such as spring roll or famous cuisine of Vietnam.